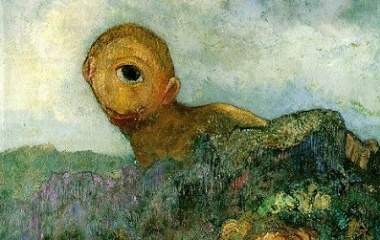 The clash between the Cyclops and Odysseus is, in its unique way, the strongest analog to a cave painting that exists in the literature of the West, containing, as it does, a sacred space where indigenous vision is transcribed for future generations. Indeed, in the tale of Odysseus and the Cyclops, one touches the fire-blackened floor of the Paleolithic hunter’s cave, so primordial are its elements. Containing as it does a ritual blinding with a wooden hunting spear, a master of animals figure, and an underlying concern with the problem of eating and sacrifice, its provenance is clearly in the prehistoric storytelling repertoire. Yet it is possible to discern the outlines of a fragment of myth, or mythologem, in the heart of the struggle between Odysseus and the blinded Cyclops. This struggle seemed to capture Western civilization’s emerging violent rupture with its native self—and, within the symbolic language of oral literature, to presage dire consequences. In short, it appeared to have all the characteristics of a prophecy, a vision much like the Hopi of the two roads of humanity: “those who know they belong to the Earth” and those who seek material, individual gain in a condition of spiritual disunity. The winding path that led to this essay, just published in Arion: A Journal of Humanities and the Classics, began with the traditional lore of an Ashaninkan shaman working in the Peruvian Amazon. It may be the first significant discussion of Homer’s Odyssey in the light of contemporary knowledge of sacred plant medicines, indigenous ways of knowledge, and shamanic practices to appear in decades. It was then we began to suspect that the indigenous experience of the natural world, which has a marked universality among native peoples, might have an underlying, shaping influence upon Homer’s narrative. There we were also struck by certain parallels between Odysseus’ visionary descent into Hades and ethnographies of traditional shamanic practices among indigenous peoples worldwide, especially when supplemented by cognitive archaeologist David Lewis-Williams’ theory of the intensified trajectory of consciousness. These parallels are suggestive of a deeper morphological relationship between Homer’s narrative and the traditions of vision quest among the ancient, indigenous Mediterranean peoples (whose material culture is preserved in the Paleolithic cave sanctuaries), than is generally recognized. By viewing, as our main objective, just one episode in the Odyssey, the hero’s visionary journey in Hades, from an ethnographic perspective, this essay hopes to open up more inquiry into the indigenous, and shamanic, background of the epic poem. Awareness of the remarkable efficacy of psychoactive plant medicines to heal addiction is growing. These presentations by Robert Tindall and Susana Bustos, sponsored by City Lights Books, were inspired in part by the authors’ work at Takiwasi, a center for the treatment of addiction in Tarapoto, Peru which utilizes the traditional medicine of the rainforest, including ayahuasca, with a high degree of success. 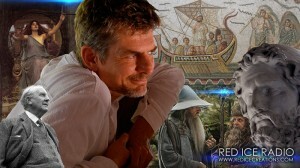 These videos interweave two perspectives on the spiritual nature of addiction: An exploration of addiction versus shamanic initiation in the light of ancient Western texts, and a report on research into the shamanic treatments of addiction just conducted at Takiwasi, focusing especially on the lesser known vegetalista practice of the plant diet. Part One is Robert’s talk on addiction versus initiation in the light of the ancient Greek and Celtic traditions. Part Two is Susana’s talk on the vegetalista practice of plant dieta and its unique efficacy in the treatment of addiction. With gratitude to Emerald Tablet, upon whose premises these talks were given on December 19th, 2013; to Vincent Tamer who captured them on video; and to Peter Maravelis at City Lights Books. Here is an engaging, insightful commentary upon magic mushroom use among Tolkien’s contemporaries and a review of The Shamanic Odyssey by Carl Ruck of Boston University, co-author with Albert Hofmann and R. Gordon Wasson of the classic, groundbreaking study The Road to Eleusis: Unveiling the Secret of the Mysteries. 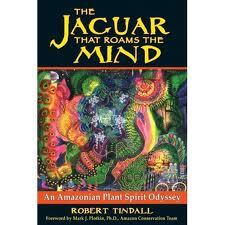 The journey began in northern Africa, as recorded in the author’s earlier autobiographical account, The Jaguar that Roams the Mind: An Amazonian Plant Spirit Odyssey (2008) and it brought him eventually to his wife and coauthor, Susana Bustos, Ph.D., who was studying the healing songs, or icaros, of the mestizo vegetalista shamans of the Peruvian Amazon. 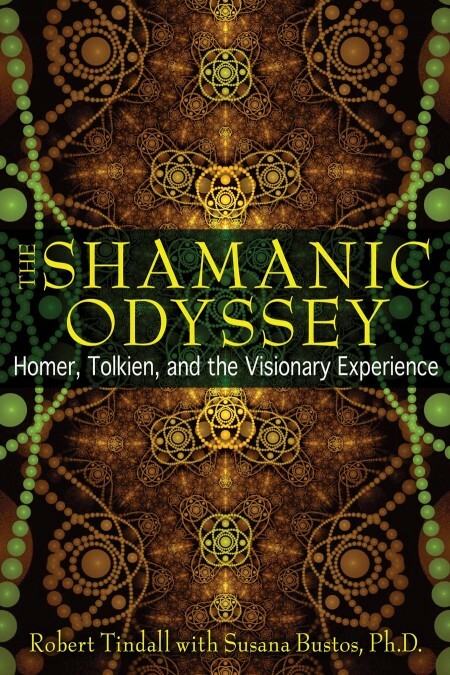 The present book, The Shamanic Odyssey: Homer, Tolkien, and the Visionary Experience, is also something of a personal Odyssey, combining Tindall’s abilities as a classical guitarist and a professional scholar of medieval English literature1 and ancient Greek epic. 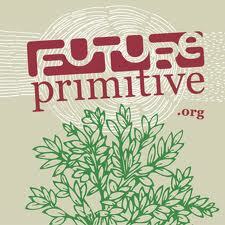 Future Primitive interviews Robert on the joy of participating in a sentient cosmos; water, the primordial womb; music and opening of the gates of consciousness; from shamanism to cultural regeneration; Tolkien: remembering the animistic perception of the world; “a love and respect of all things animate and inanimate”; “a cosmo-centric economy”; reintroducing the indigenous consciousness of reciprocity; cultivating a self-sustaining soil. Robert recently had a conversation with Erik Davis and Maja D’Aoust on the Progressive Radio Network’s program Expanding Mind, exploring indigenous versus modern consciousness, addiction, and the profound relevance of Homer’s Odyssey to unraveling the roots of our current ecological crisis. Erik and Maja, of course, are deeply informed and intelligent interviewers, who bring a critical, along with appreciative, perspective to their program. We hope you’ll enjoy this podcast. It can be accessed here. “I very much enjoyed reading the shamanic analysis of two of my own favourite books. 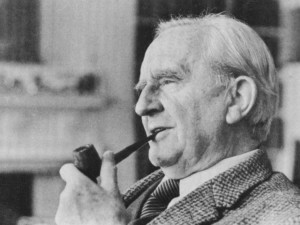 The use of plants in the Odyssey, and the idea of an “intensified trajectory of consciousness” in Tolkien, and the phenomenological idea of presence in song and story, were all fascinating and thought-provoking, and while their analysis did not err too heavily on the theoretical, there is enough to give the reader a grounding for both historical ends of the texts as being part of a single analysis,” writes Rob Dickens in his review of The Shamanic Odyssey: Homer, Tolkien, and the Visionary Experience in the webzine Psychedelic Press UK. “I love these kind of interviews – makes you feel like you’ve been sitting around the campfire with one of the ‘elders’ – out there in the jungle with the ancestors. You can almost hear their voices echoing in the wind. This is the new shamanic tradition with a cyberspace twist,” Timaeus commented after listening to this interview. 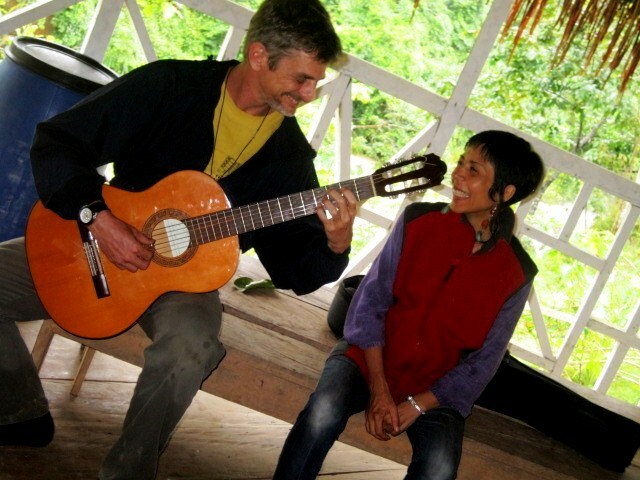 J.P. Harpignies, New York-based Associate Producer of the Bioneers Conference, and editor of Visionary Plant Consciousness recently corresponded with Robert Tindall, now located in the cacophonous mestizo wilds of the Peruvian Amazon, about his new book, The Shamanic Odyssey: Homer, Tolkien, and the Visionary Experience. J.P.: Robert, can you explain the genesis of this book? I had already been observing a number of intriguing parallels between the ancient mythology of the Greeks and Celts I had studied at the university and the contemporary cosmovision of peoples in the rainforest, but this conversation stuck with me. Upon our return to the United States after our year-long immersion in the vegetalista tradition, I had a chance to spend some time teaching the Odyssey, and it was then I began to recognize that the text is shot through with indigenous and shamanic cultural elements: shapeshifting, visionary journeys, plants with resident divinities, masters and mistresses of animals, the symbiosis between plant/spirit/shaman, animal becoming, sacred topography—the list went on and on. 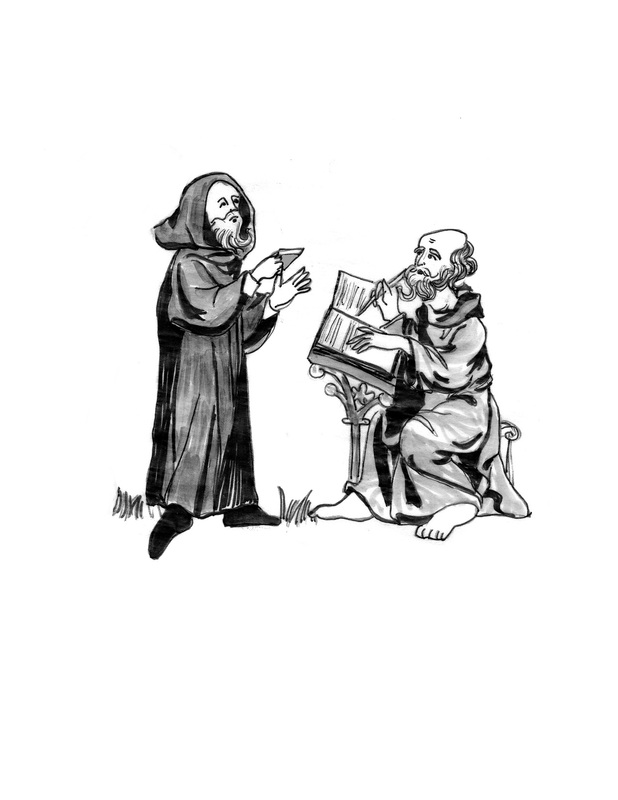 The case became particularly intriguing when Susana and I began analyzing the descriptions of the therapeutic effects of bardic song in the Odyssey in the light of her research into the healing powers of Amazonian healing songs, i.e. icaros. The Odyssey led me into an unfolding meditation on the indigenous mind at the root of the Western tradition. The more I followed up on details of the epic poem, the more terrain was revealed. Most notably this occurred around the mythologem of the clash of the Cyclops and Odysseus, which I see as a remnant of a very ancient oral tradition transposed into Homer’s comparatively modern narrative. As a teaching story, like the Genesis account of the Garden of Eden, it appears to me to capture modern humanity’s break with indigenous, or primal, consciousness. Just as I was contemplating the ramifications of such a mythologem existing in the Odyssey at all, I encountered the peyote shaman Bob Boyll, the second major cultural informant for our book, and heard his account of the two roads of humanity he had been taught by the Hopi prophet David Monongue. Again, like the uncanny parallels between the Amazonian and ancient Greek sirenas, Monongue’s description of the two roads of humanity struck me as too similar to the cultural tensions illustrated in the clash between the proto-modern Odysseus and the indigenous Cyclops to be accidental. Odysseus as Western Literature’s First Economic Hitman? We are honored that John Perkins, founder of the Pachamama Alliance and author of the New York Times Bestseller Confessions of an Economic Hitman, has penned a preface for our forthcoming book, The Shamanic Odyssey: Homer, Tolkien, and the Visionary Experience. Here is John’s preface, which reveals his own early intuitions that Homer’s Odyssey is far more indigenous — and contemporary in relevance — than is recognized. My dad taught Latin. I was raised on the classics. Homer’s epic poem, the Odyssey was bedtime reading in our house. When a Shuar shaman, deep in the Amazon, saved my life not long after I graduated from college, he demanded that I repay him by becoming his apprentice. “It will be a tough journey,” he warned, “but you’ll connect with sacred plants and powerful spirit guides. 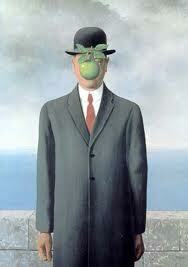 . . just like Etsaa.” His description of the adventures of this legendary rain forest hero astounded me. 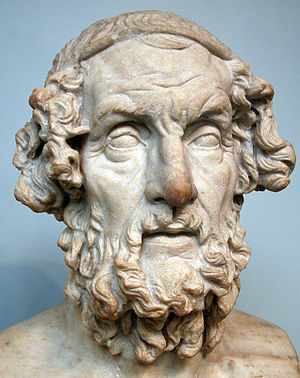 Etsaa so resembled Odysseus that I puzzled over how two cultures so far removed in time and space could share such similar myths. Later, as an economic hit man, I traveled the world, coercing governments to subjugate their people to a new form of empire led by multi-national corporations. During long flights I re-read Homer. I was struck by how little we humans have changed. We had traded sailing ships for airplanes and swords for AK-47s, but we were still hell-bent on exploiting others. I knew that Odysseus would admire the wily tricks-of-trade – the Trojan horses – I and my cohorts employed to conquer other lands. So, was Odysseus Western literature’s first full portrait of a practicing shaman and shapeshifter? What about Odysseus, that ancient Greek raider of cities, as Western literature’s first economic hit man? Sound implausible? All I can say is: “Read on!” Prepare to be amazed by the confluence of Ancient and indigenous ways with ruthless modern capitalism, as realized in the character of Odysseus. You may even find yourself agreeing with Tindall and Bustos that the origin of our current global financial meltdown is far older than contemporary predatory capitalism – it can be found in Odysseus’ dolos, his renowned spirit of trickery and cunning deception. 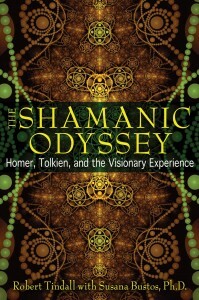 The Shamanic Odyssey is more than just an exploration of ancient texts, native cultures, and shamanic practices. Like the bards of old, Tindall and Bustos sing the Odyssey for our time; this modern version is a warning for a world threatened with ecological collapse and economic injustice. The prophetic voices of our indigenous relatives – the Shuar, Hopi, Kogi, Quechua, Maya, and so many others – have now penetrated the iron bubble of our exploitative society; they expose the causes of its likely collapse. Their voices remind us of our humble, and probably brief, span on this glorious planet. The message we are advised to hear in the Odyssey is one that calls us to reconciliation with and respect for the remaining indigenous cultures. 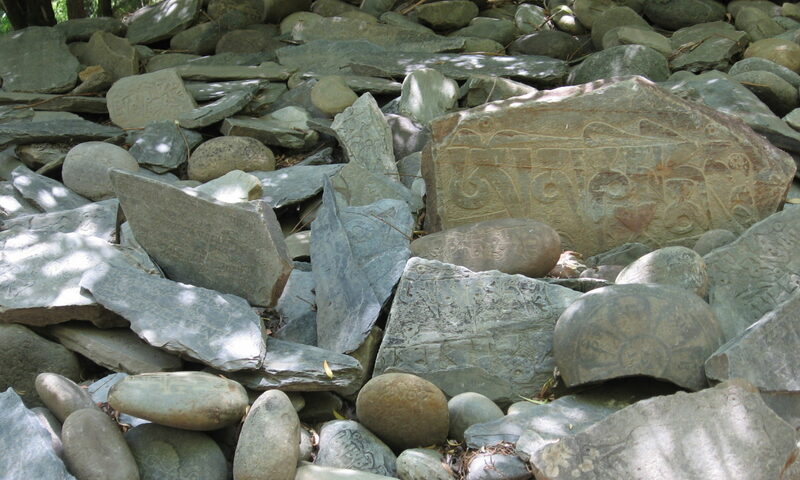 Even as I write these words, Wirakuta, the ancient site of pilgrimage for the Huichol peoples of Northern Mexico, is threatened by corporate raiders, who seek to enter the sacred ground and strip mine it. The message that echoes through the ages urges us to protect those lands and the cultures that have honored them for millennia. Tindall and Bustos demonstrate that the Odyssey’s oral tradition summons us to heal the break with our own native self, with the indigenous experience of a vital, meaningful cosmos – the ultimate resolution to rapacious capitalism. We do not need to live in oblivion, cut off from the voices of our ancestors and wild nature. As a nostos, a homecoming song, the Odyssey can call us back again – to a home we recognize and our offspring will want to inhabit.